Tired of maintaining your blast room? Painted concrete eventually flakes off and needs to be repainted while metal walls will often start to rust. 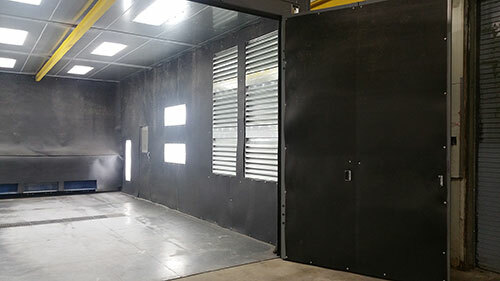 Using our recycled rubber conveyor belting to line your blasting room walls provides a sleek looking no maintenance solution. We have a variety of used and surplus rubber belting that works perfectly for your DIY abrasive blasting room. We stock a variety of belt profiles as well, from smooth to mini bite and even v cleat. These profile belts work great on floors for traction in wet blasting / vapor abrasive blasting rooms. In addition, these belts are very dense and provide excellent noise reduction in your blast room. They can be easily cut with a blade and screwed onto your existing walls. 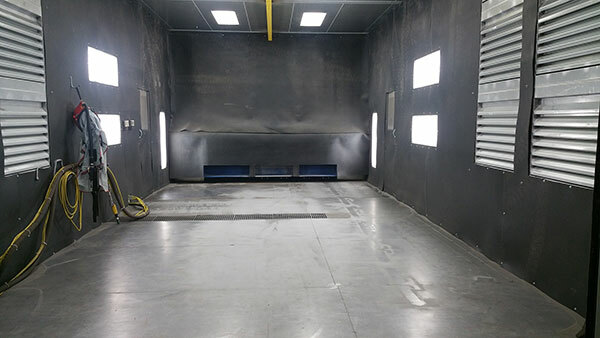 You will never need to worry about maintaining these rubber sand blasting linings.